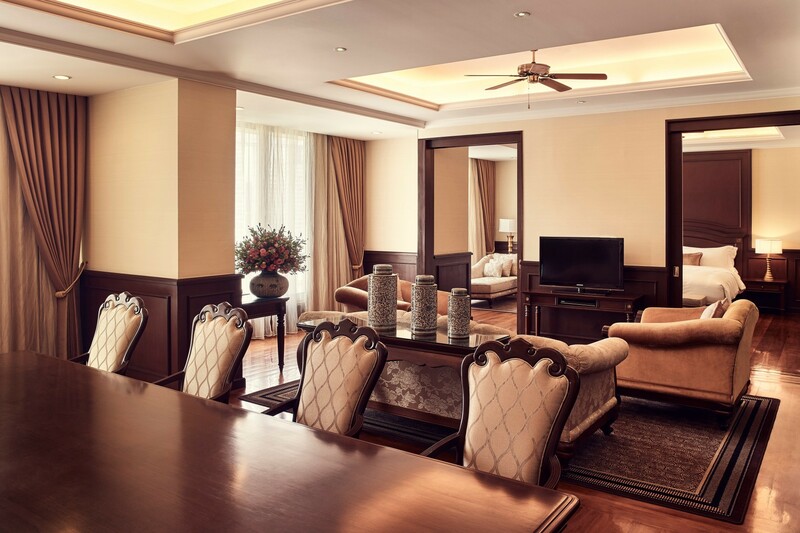 Our incredibly spacious 94sqm Prestige Suites are the epitome of luxury. 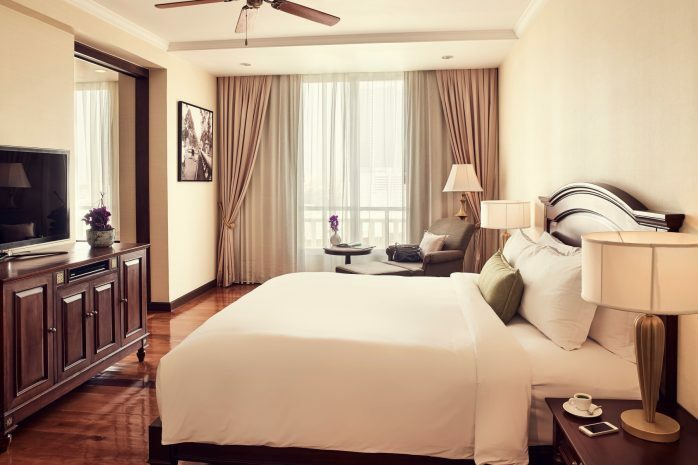 Each suite overlooks the garden and surrounding landscapes with all the comforts of home and beyond, including separate living areas and bedrooms which are fitted with custom created King sized Sofitel MyBeds. The silent air-conditioning unites assure only the highest level of comfort, whereas the ceiling fans are ideal for lounging during the days. Indulge yourself in an array of luxury amenities including the separate living area and lounge decorated with plush sofas and recliners. Guests can enjoy complimentary Wi-Fi while watching world-class entertainment on the 42-inch flat-screen LCD TVs fitted with a DVD player in each room. Each has high-quality HD audio and video connectivity for your viewing and listening pleasure. Further amenities include intricately designed writing desks, which are the perfect locations to pen postcards to home, and writing letters about adventures abroad while sipping on only the finest refreshments from the fully stocked minibar. 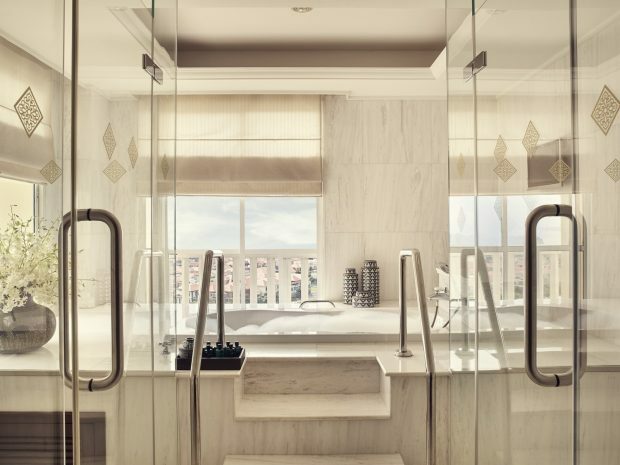 The large marble bathrooms separate the shower and spacious Jacuzzi bath which is the ideal spot for indulging yourself after a long day of exploring the hotel grounds and exotic local sights. The separate dressing area is perfect for evenings spent getting glammed up. 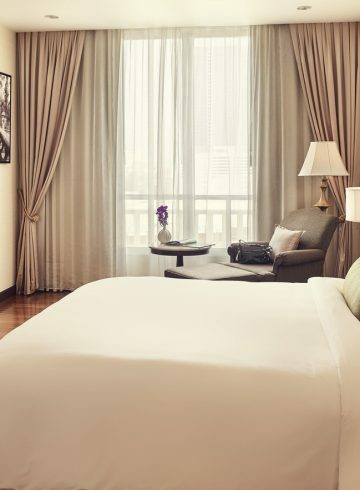 As a part of the Sofitel ethos, we only gift our guests the best and this includes the range of complimentary health and beauty products from renowned and celebrated lifestyle brand Lanvin. For guests who choose to book this suite, an array of Club Milliséme benefits are also available, including a delicious breakfast and all-day refreshments at our elegant member’s only lounge.